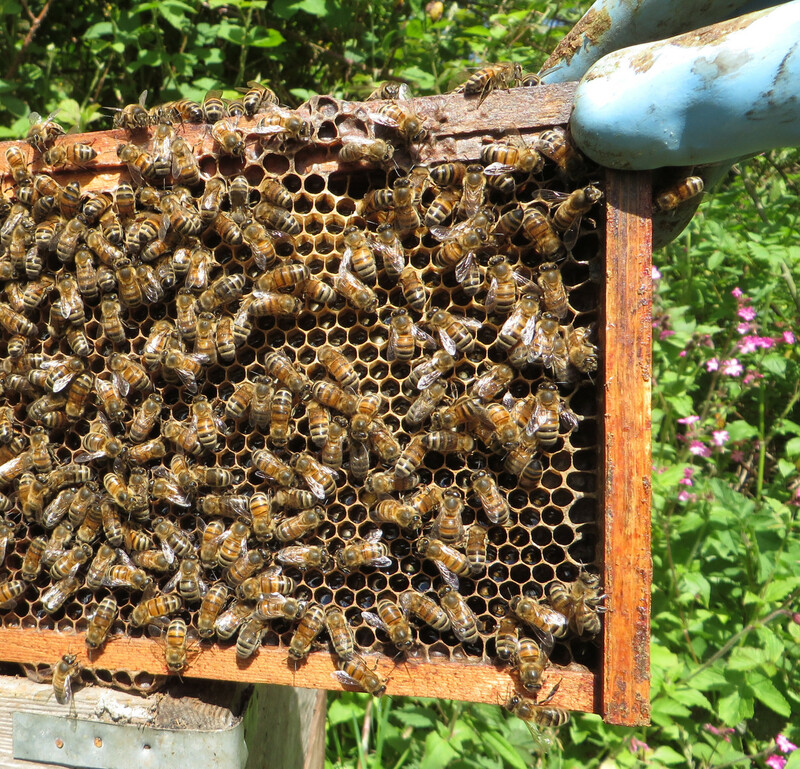 It’s been a beautiful, warm day at the farm, and the bees are responding by both working hard and by thinking about swarming. Warm weather makes life easier for bees. They spend less energy keeping warm, can fly for longer and the flowers secrete more ‘nectar’ for them to collect. 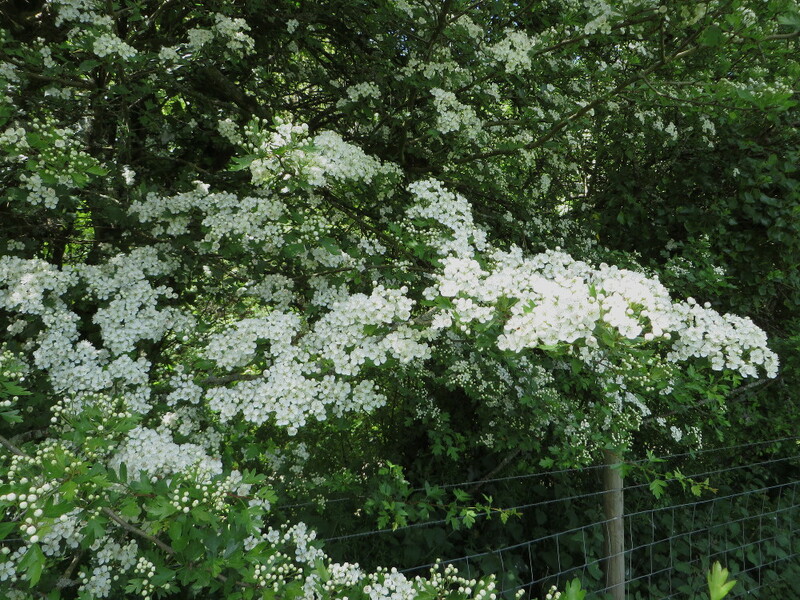 One useful type of flower in early May is Hawthorn pictured to the left – there are thousands of flowers in the picture, and many such trees near the farm. When bees swarm they prepare special cells to produce queen bees so the colony can then divide. 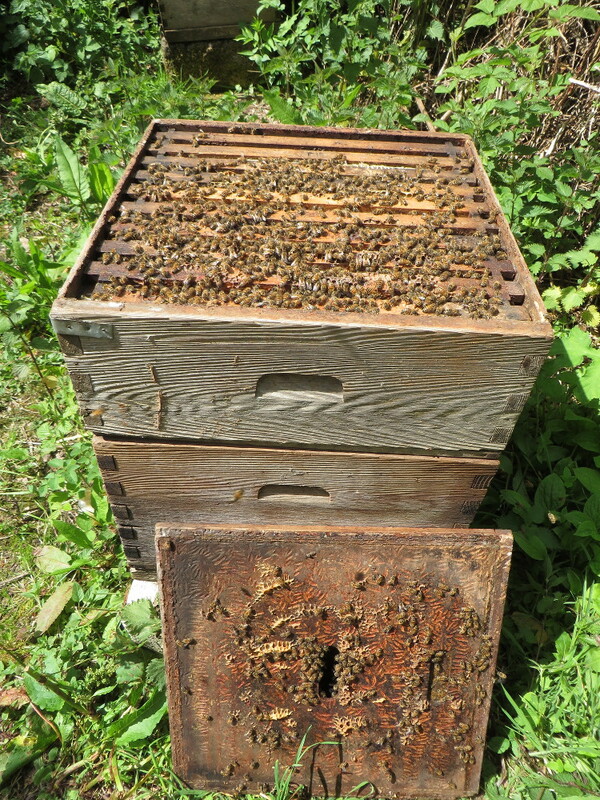 If that happens we’ll post a picture here but for the moment here is a picture of one of the beehives full of bees. This entry was posted in bees and tagged bees by abbrookfarm. Bookmark the permalink.